LEAP Conveyancer provides an efficient way to create accurate settlement statements, adjustment sheets and statement of adjustments, fast. With one consistent approach for all states (excluding NT), LEAP Conveyancer has the tools you need to get this complex and time-consuming form completed effortlessly. Admin hours are significantly reduced. You can also create miscellaneous adjustments as a one-off, or you can save them for future use by your firm. The ACT Settlement Adjustment Sheet includes a toolbar which contains a button for each of the adjustment options. As you create each of the adjustments, the form will automatically recalculate the figures. Water usage can be adjusted based on either daily consumption or the last 2 reading dates. 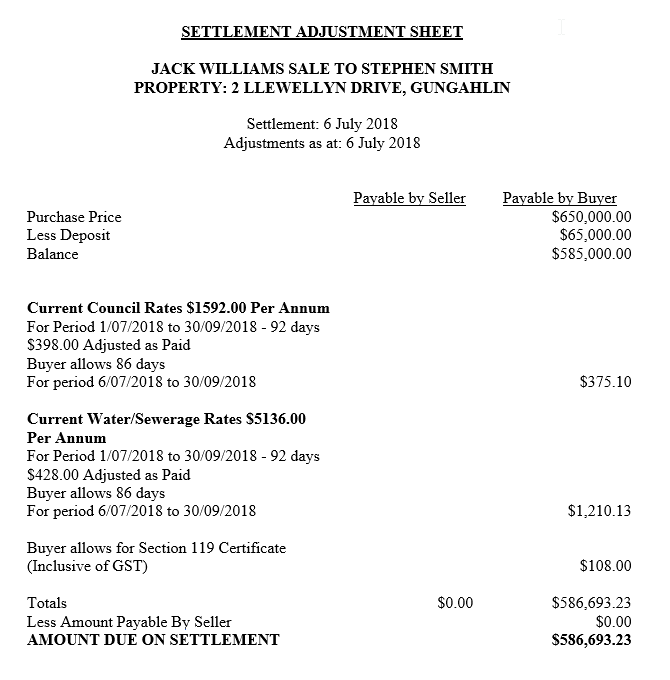 Should the Settlement and/or Adjustment Date change the figures can be recalculated and adjusted based on the new dates.